The game started out OK. Everyone was at a party, wishing this guy good luck as he moved on to a new job in Japan. It was hard to say good-bye to his ex-girlfriend, but it's cool, just have a few more shots. Then all of a sudden there's this rumbling outside an oil tanker goes under in the harbor, car alarms start going off nearby and buildings get demolished. Scary stuff. So everyone is running, scared, there's a monster, there's some military guys shooting, it got all crazy. At the end only two people survive, oh and a camcorder, because there has to be evidence of it all. Then something falls into the water. Weird. 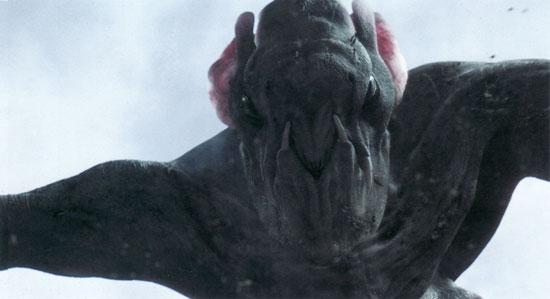 Oh, by the way, I watched Cloverfield last night, not The Sox game. Why would I watch The Sox?